Audiophiles are always on the lookout for affordable headphones. If you are into jazz, rock, classical music, or techno, a pair of quality headphones should be one of the essentials that complete your listening experience. All of us who are into audio gear, care about headphone drivers, noise-reduction features, design, and the overall comfort when we put them on. Some people swear by particular brands, specific drivers, or the comfort and connectivity that Bluetooth headphones offer. But, we can agree that a rich sound and the ability to feel those sub-bass notes, midrange, and highs without breaking the bank are the things we want to get. These are my top picks for the best bass headphones under $100 that you can currently find. Do You Need Enhanced Bass Headphones? Are They Right for an Immersive Gaming Experience? How Much is the Brand Worth to You? After more than ten years of operation, Cowin is slowly becoming one of the household names in the world of audio gear. The company boasts of numerous patents on Bluetooth and vibration-driven wireless technology. 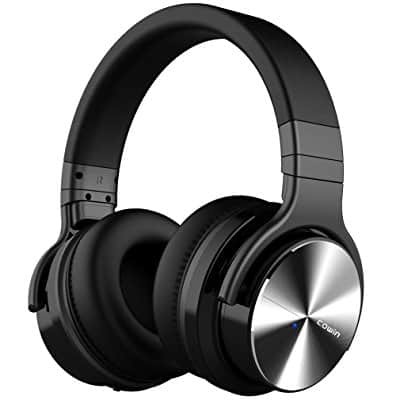 You can find some of those features in their Cowin E7 PRO headphones. 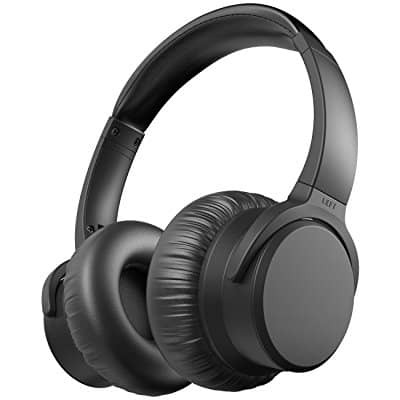 These headphones offer professional-grade noise blocking technology, which should allow for a fully immersive listening experience no matter where you are. It is worth noting that the noise isolation operates at the same level of quality in both wired and wireless mode. What’s more, the E7 PROs have large-aperture drivers. The 45mm drivers should give you crispier bass and better overall sound quality. They are packed inside swiveling earcups with soft over-ear cushions. The headphones are also very light which should ensure comfort, especially during long listening sessions. The other features of the 2018 E7 PROs include a built-in mic and improved battery. The microphone supports NFC technology and voice commands. And you should be able to use the headphones for more than a full day on a single charge. 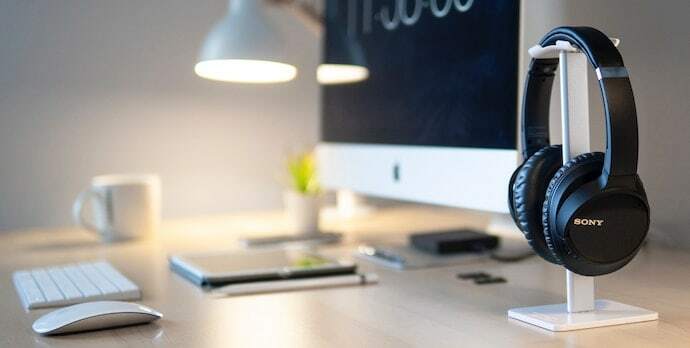 Even though Cowin might not be as renowned as some other brands, the number of features, build quality, and affordability make these headphones a viable option. Back in 2003, Rick Alden founded Skullcandy with the active new generation in mind. Since then they have been producing headphones which can satisfy the needs of audio aficionados, DJs, and outdoorsy people. 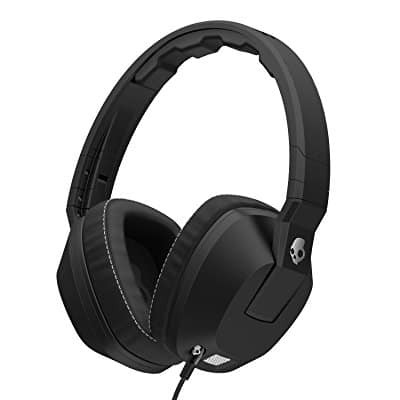 The Skullcandy Crusher may be a good example of headphones tailored to the needs of aspiring DJs and audio geeks. These headphones feature Sensation 55, a patent-pending bass driver, which should provide you with realistic bass energy. You can control the bass by using a slider located on the left cup. REX40 is the other driver built into these headphones. It is designed to offer the least amount of distortion and proper frequency response. If you are a DJ, accurate frequency response should help you get smooth transitions between songs across all frequencies. The drivers are neatly packed in acoustic ports within the earcups. They are thus able to move freely inside the ports to ensure optimal bass energy and minimal distortion. 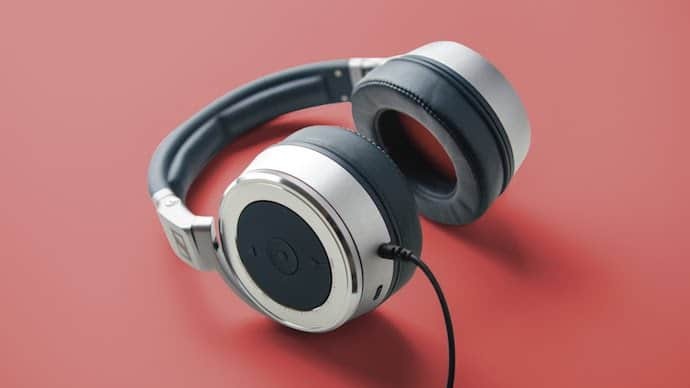 Serious drivers may require more drive than your headphone jacks are capable of supplying, but there’s no such worry here as the Crusher headphones have a built-in amp so you wouldn’t need a line amplifier. Sony has been in the headset market for decades. And the company is widely regarded as one of the top suppliers of audio gear. The Sony MDR-XB950AP extra bass headset is one of their mid-range headsets. 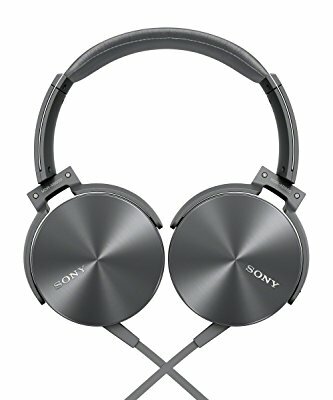 But before we go into further detail, I have to point out that these Sony’s might be one of the most beautifully designed headsets at this price range. The earcups are made of brushed aluminum which gives off a radial pattern under the lights. This headset comes in either black or silver finish. The Sony headphones have a durable Y-type cord which should prevent tangling. The smart device control that’s built into the cord works with any device. The 40mm drivers coupled with Sony’s Acoustic Bass Booster give you a rollicking amount of bass. The cushions on the earcups give you a good acoustic seal and make the headphones very comfortable. Also, these Sony headphones with swiveling earcups are lightweight and portable. 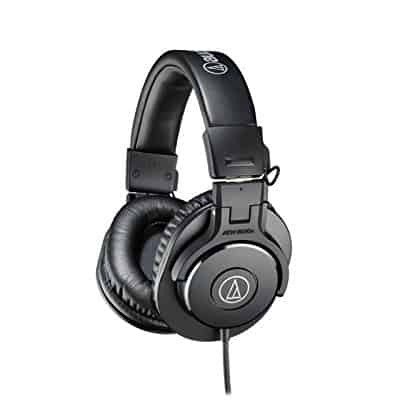 Audio-Technica is another big player in the hi-fi industry. This Japanese company, around since the early 60s, is a top supplier of high-quality audio equipment and accessories for home and professional uses. The ATH-M30x headphones are no different. These headphones are labeled as professional monitor headphones. So you know that they are suitable for studio and home use. The 40mm drivers feature rare earth magnets for frequency extension and copper-clad aluminum voice coils for durability at loud volumes. While they might not be the absolute best bass headphones under $100, the ATH-M30x still reproduces music with great detail, airy midrange, and punchy bass. The circumaural earcups and cushions fit comfortably over your ears and do an excellent job of passive noise isolation. 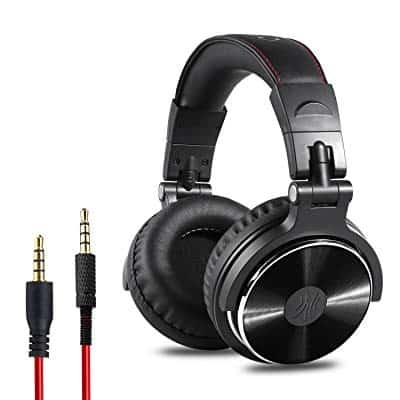 The feature is especially important for sound technicians, cameramen, and DJs since it allows them to focus only on the sound coming from the headphones. AMMON is a Chinese company that has been around since 2009. These AMMON Active NC Bluetooth Headphones come with an 18-month warranty. These versatile headphones are designed with travelers and active people in mind. Also, the headphones can be easily paired with your computer, cell phone, or TV. Also, they come with an ANC (active n.c.) switch which isolates you from outside noise when you’re wearing them. They are made of durable lightweight plastic. The design is minimalist. The drivers are optimized for high bass performance. An intelligent CPU sits behind the drivers and regulates the overall sound experience. Unlike most of its competition, these headphones even give you 3 different color options, as they are available in black, red, and blue. The controls of the headphones are located on the earcups. These Bluetooth 4.1 headphones ship with headphone wire, so you can use them as wired headphones as well. The earcups swivel and are covered with a very soft cushion which should reduce noise without jeopardizing comfort. This works on top of the ANC technology that is usually only available on higher-end headphones. 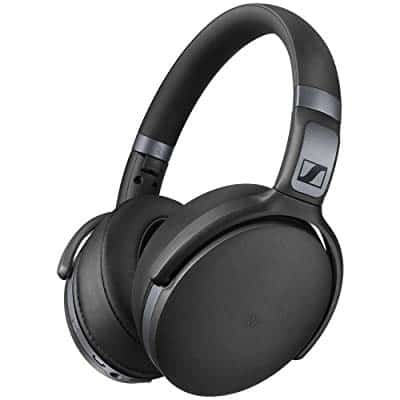 When it comes to value for the money, the Sennheiser HD 4.40 headphones gave more than I was hoping for. Let me start by pointing out the sleek, modern design. The headphones are all black and beefy. That’s because of the thick padding which can give you all sorts of comfort when watching epic movies, listening to entire albums, or trying to record something. The headphones offer a smooth delivery of synth sounds and bass guitar lines. However, it’s the kick drum delivery where you really get your money’s worth. The sound is deep, powerful, and cuts through the mix with ease. Surprisingly, the medium and high frequencies are also well-balanced. The headphones aren’t exactly made for enhanced dialogue but they do a good job of delivering clear vocals too. Last but not least, the wireless feature is something that some people just can’t live without. You should be able to get over 20 hours of use on one charge. Although the range is quite standard, around 30 feet should be more than enough for most homes and studios. Talk about taking the budget route to buying new bass headphones. These bad boys are practically a steal for anyone. OneOdio equipped their headphones with 50mm neodymium drivers, large ear cups, thick padding, good noise isolation features, and a detachable cable. In terms of build quality, they aren’t as flimsy as they probably should be in this price range. The headphones are designed for DJs and studio monitoring and mixing. The 90 degrees swiveling earcups are essential pieces for single-ear mixing. The sound quality is not bad either. The bass is powerful while the medium and high frequencies are flatter. The soundstage clarity is still quite impressive as these headphones acquit themselves well with many music genres. They can even double as your go-to gaming or movie headphones if you’re shopping on a budget. The glossy finish is nice to have but not really needed. These headphones may not have good enough noise reduction properties for use during live gigs but your mileage may vary. The detachable cable is 9.8ft long which is nice in terms of reach. But, the cable is quite heavy and may get in your way from time to time. So, these headphones are just over the proposed budget for this article. However, the build, design, comfort features, as well as the sound are all too good not to devote a few short paragraphs here. 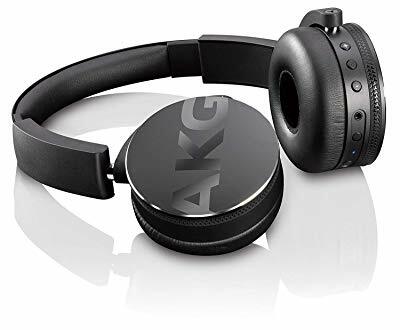 Besides, you can always go with the very similar AKG Y45BT headphones to stay under the budget. The sound quality is most impressive. Initially, all frequencies sounded kind of flat. But, after listening for a while, the definition on the low end clearly makes itself noticed in the mix. Especially if you’re listening to hip hop, rap, pop, or even techno music. The headphones are also wireless. They last about 20 hours depending on how far away you are from your device and how loud you turn up the volume. Of course, if you’re working with them, you can also use the 4ft detachable cable to carry on with your work when the battery runs out. The 32ohm impedance makes these headphones about right for DJ headphones. While they may not be best bass headphones for live gigs, for home and studio use, they perform better than expected. There’s just something unique about the JVC sound that no other brand can reproduce. The soundstage of the HA-RX700 is well-balanced even for a pair of headphones designed to enhance the bass and put it center stage in any mix. The power, accuracy, and definition of the low-end is more than enough to satisfy most audiophiles. But what’s even more impressive is the clarity of the vocals. The mids and highs are crisp and not nearly flat as you would expect. The very long 11.48 ft cord makes these headphones good to have and plug into a TV. They may not be as user-friendly as a pair of wireless headphones, but the power and clarity of the sound is worth working around the cable. The wide head pad takes the meaning of comfort to a whole other level, especially if you consider how affordable the HA-RX700 headphones are. That combined with the sound and build quality makes these headphones something that I can proudly recommend. TaoTronics may not be a household name. But for all the amateur music lovers out there, you should know that this label is just as synonymous with quality as any other brand you see advertised on TV every day. The build is fairly simple. It’s the quality of the padding and the large ear pads that give the headphones great value. The noise blocking features are okay too, maybe not if you’re commuting to work every day, but definitely more than enough for home use. The high and medium frequencies are a bit flat. There’s not too much detail but the soundstage is still exciting and fine-tuned around the powerful bass. The definition on the low-end is just what anyone looks for in bass headphones. The bass is crisp and clear and brings out the best in bass lines in any musical genre. The headphones are also a good choice for anyone looking for a less spacious soundstage with minimal echoing. The wireless connectivity is always a plus when it doesn’t come with a premium or at the expense of audio delivery. The battery lasts up to 30 hours. As an added bonus, you also get a built-in microphone, which makes the headphones even more versatile for those on a budget. Strictly speaking, bass headphones are headphones that emphasize the bass more than the other frequencies. There are all kinds of tricks that manufacturers can use to achieve this, including adding passive components in the signal path. Sometimes the designers may not even have consciously tried to emphasize the bass. The end product simply came out that way. In the budget class, some measure of bass boost can be very useful. It can really flesh out the sound because, let’s face it, you’re not going to get high-end drivers at this price range. It’s also great if you tend to listen at lower volume. The average human ear is less sensitive to low bass and extreme high frequencies, especially at low volume, so most people can use a boost. It’s the basis behind the classic V-shape equalizer. Whether or not you need enhanced bass headphones depends on several factors. First of all, you should ask yourself a question about the music you like to listen to. Those who prefer hip hop, rap, or electronic music might enjoy headphones with a heavier bass response. However, if you are into jazz, rock, or classical music you may prefer a flatter frequency response for more faithful reproduction of music as the artists or producers intended. However, the ability to control the bass can come in handy. You shouldn’t discount a pair of enhanced bass headphones as long as there is a way to control the levels. Controlling the bass levels of your headphones is very important. It can offer you versatility and a more pleasant listening experience. For example, if you’re listening at low volume, it would give the music more body and definition if you boost the bass somewhat. On the other hand, if you boost the bass too much it may muffle the other frequencies, so the song might not sound the way it’s supposed to. Say you’re planning on using your new pair of budget bass headphones for your gaming sessions too. Are they really the best choice? – The majority of gaming headphones have a wide frequency response range but also a rather flat response. Also, in some cases, extra attention is given to the medium and high frequencies. This is mostly to enhance the dialogue. And, with many games today being sports simulators with awesome commentary, or very story driven, enhanced bass is not always favored by the average gamer. Ordinarily, whenever you buy quality gadgets, you tend to compare various brands and manufacturers. Companies like Sony, Phillips, and Audio-Technica are well-known and highly respected. However, I sometimes disapprove of the design or hardware that goes into their budget-friendly lines of audio equipment. Don’t think for a second that you won’t end up paying more than you should even for a brand-name pair of headphones. Small labels or niche brands may often surprise you (they certainly surprised me at times). In order to compete, they need to work extra hard on putting together something impressive for the masses. Before you jump the gun and buy the cheapest pair of bass headphones, think hard about what devices you’ll be pairing with your new purchase. Not all headphones are powerful enough to give you the best listening experience on a smartphone. 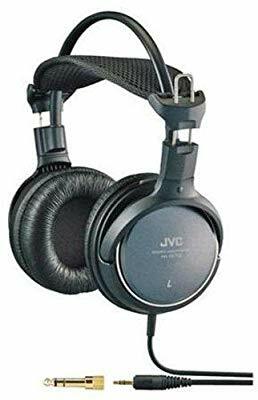 Medium impedance headphones are the go-to choice for people on a budget because they work fairly well with and without amplification. You can drive a pair of high impedance headphones with almost anything if you really want to make sure, except the volume will be slightly lower at the same setting/level (since electric current is inversely related to impedance/resistance). Remember that bass headphones and DJ headphones are fairly similar in many regards. But, the versatility of a pair of headphones is just as tied to the impedance as the soundstage and frequency response range. You don’t have to break the bank to get the best bass headphones. I hope that my list of favorites has provided you with enough insight to shop for an upgrade over your old headphones. Although these headphones share some common features, the listening experience and sound quality are quite different. Give them a try before committing. The best way to do this is to buy from an online retailer that has a good return policy, so you can send them back if you’re not impressed.